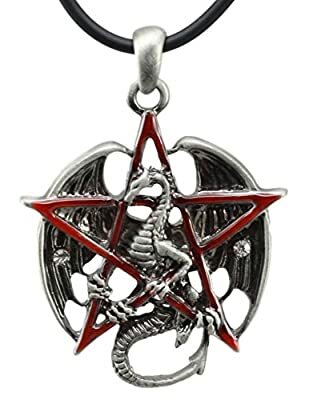 Finally with this Pentagram Star Dragon Pewter Pendant Necklace, Wiccans who also have an appreciation for Dragons can celebrate their love of the two! With a striking red pentagram providing the backdrop to an incredible dragon, this piece stands out from afar and will certainly draw lots of positive attention and a heap of comments and compliments! 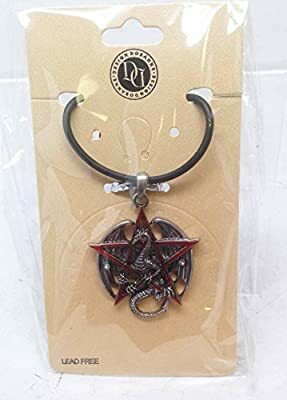 This is a Gorgeous Dragon Themed pendant that comes with a rubber necklace. 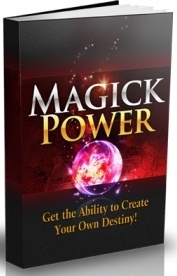 A ferocious dragon holds the body of a pentagram star in red with its wings wide opened. 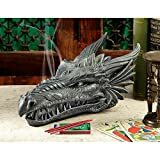 He makes a perfect jewelry accessory for any dragon lovers as well as an exotic gift for a loved one. 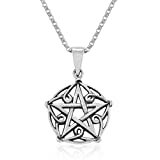 Dimensions: Pendant 2" by 1.25"
MATERIAL: Alloy Pewter Pendant with design is on one side. The backside is hollow. 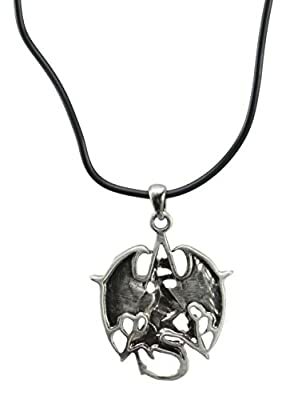 Dragons AND Pentagrams together on the same piece...what more could you want?